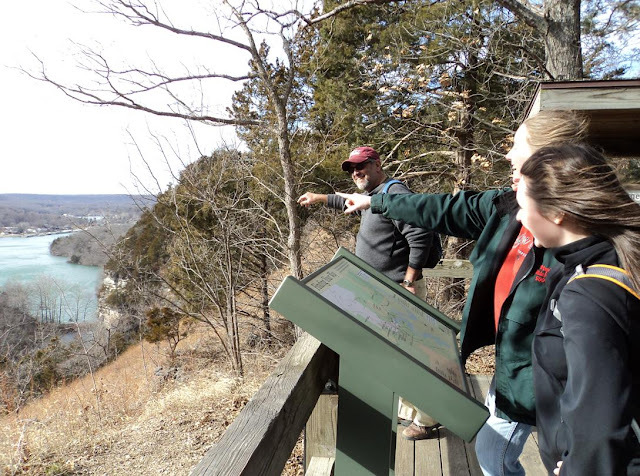 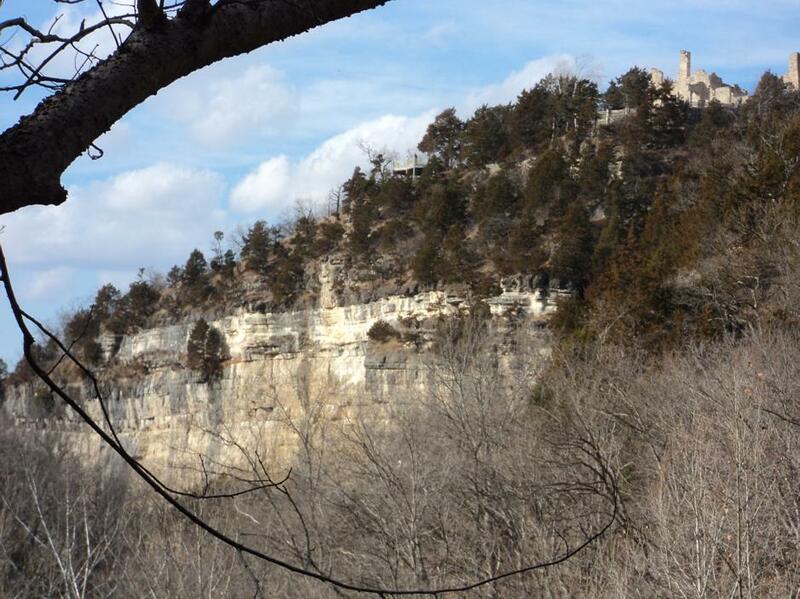 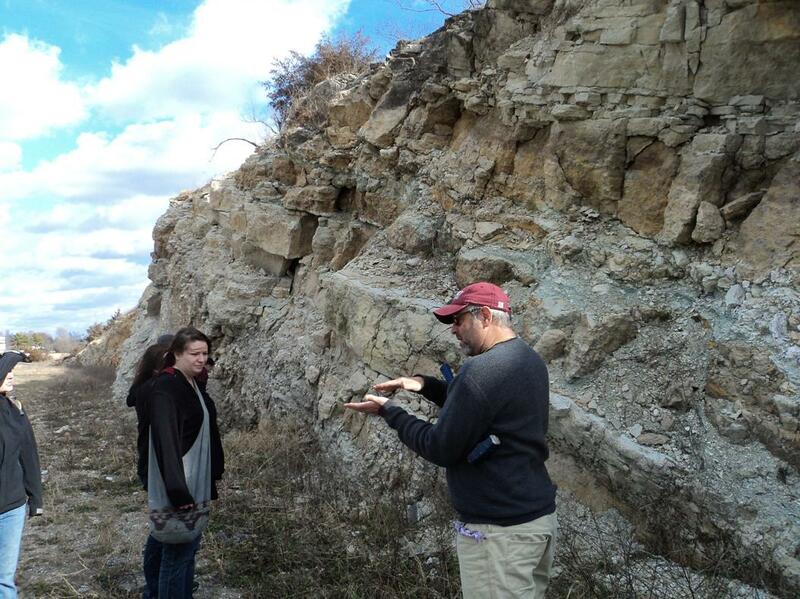 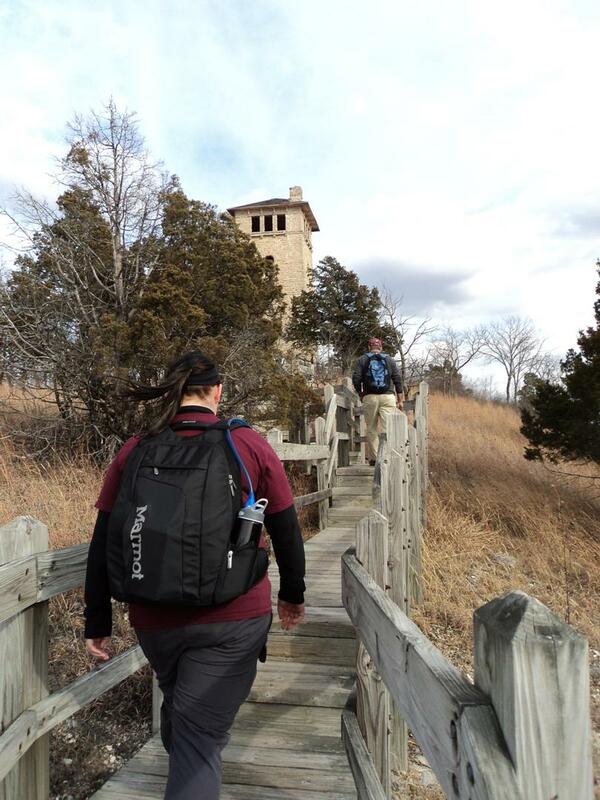 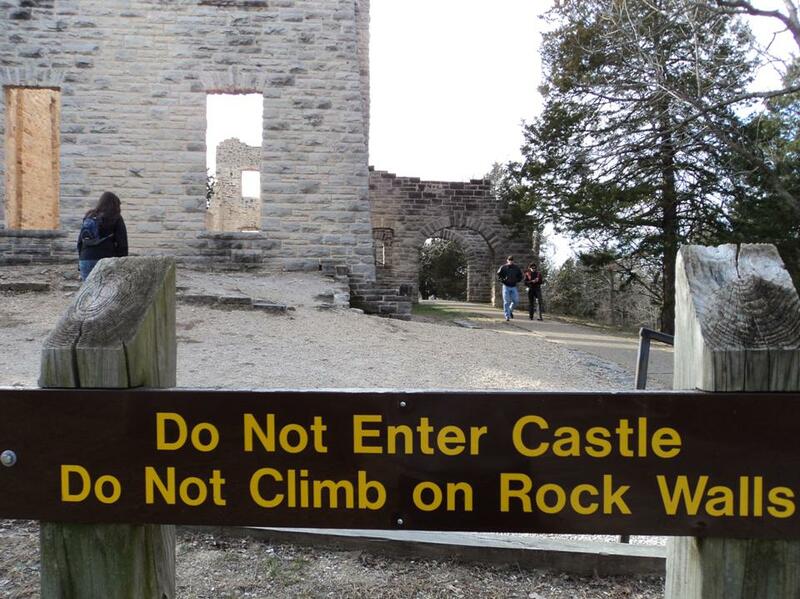 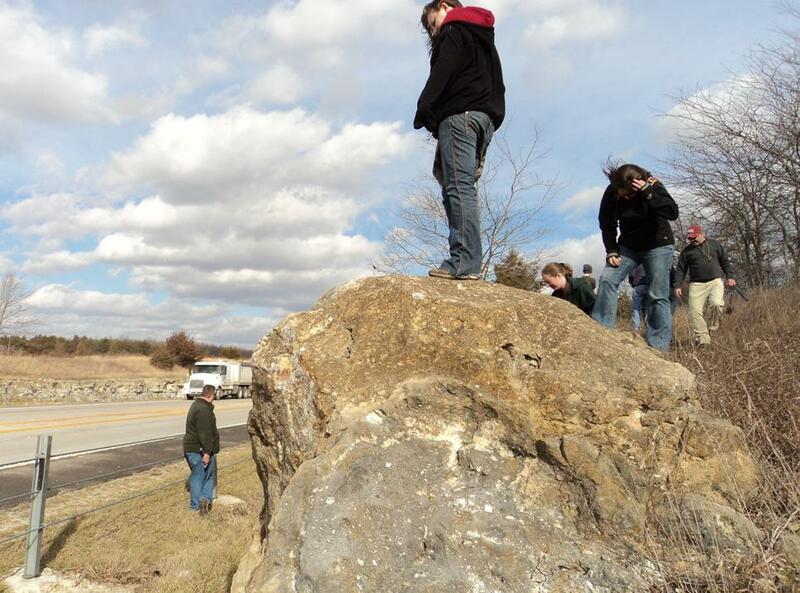 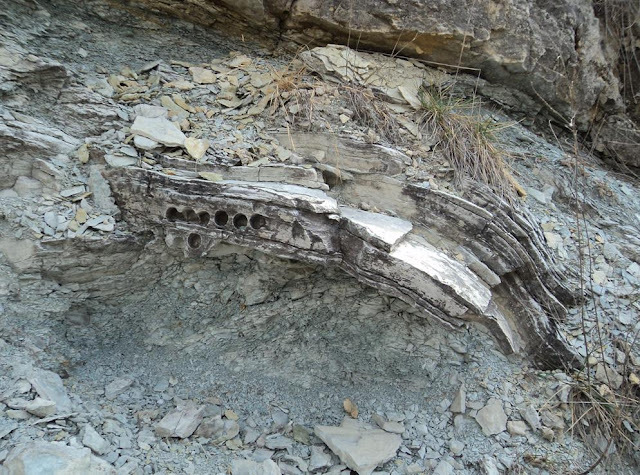 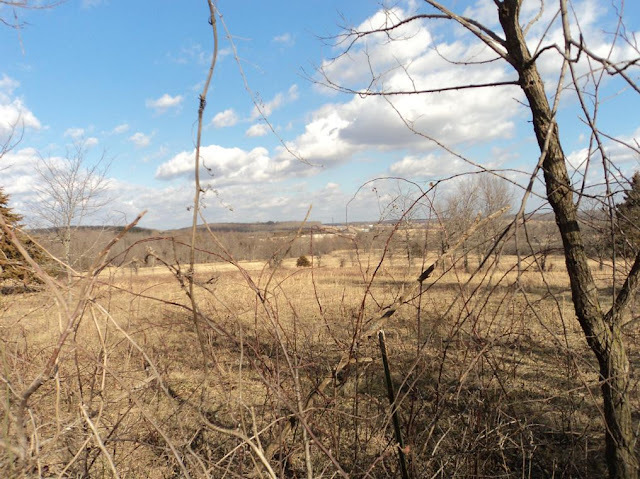 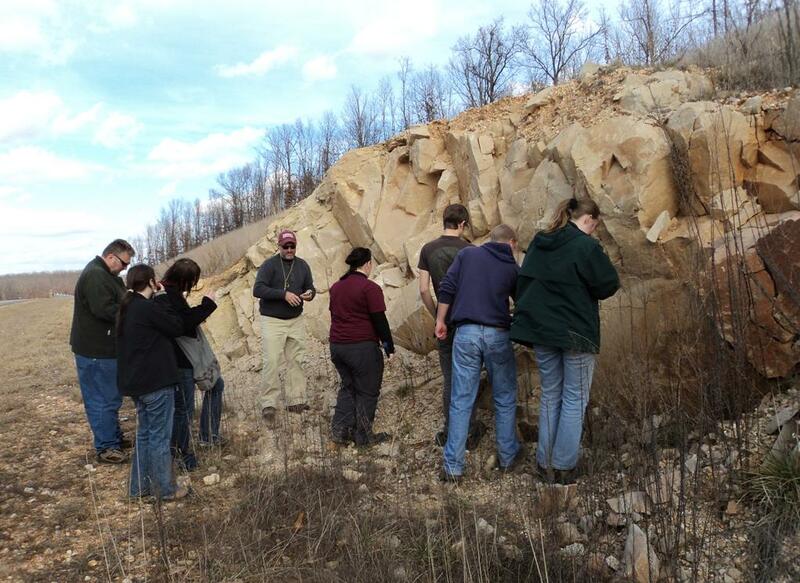 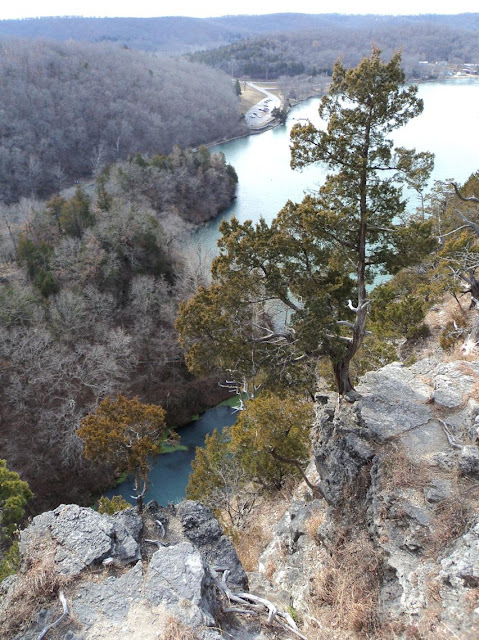 The local American Association of Petroleum Geologists (AAPG) hosted a trip to check out some interesting Missouri geology. 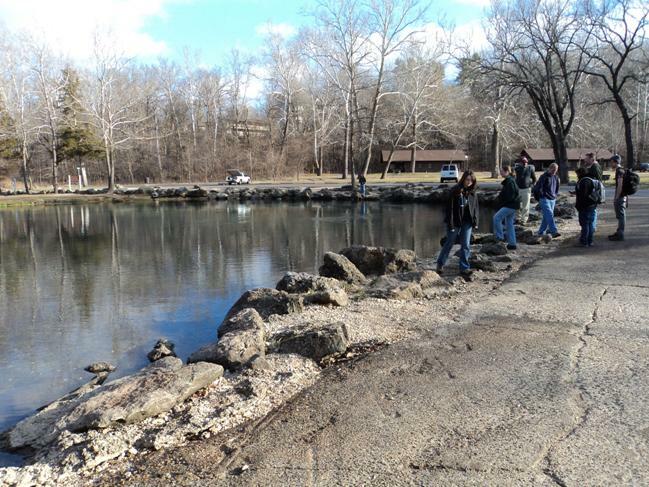 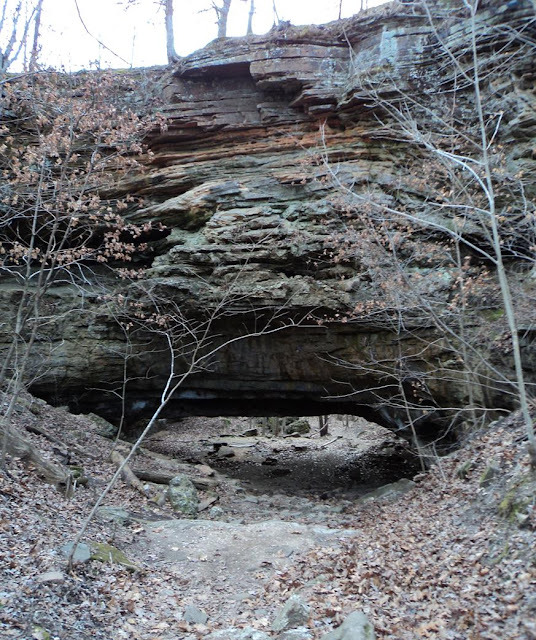 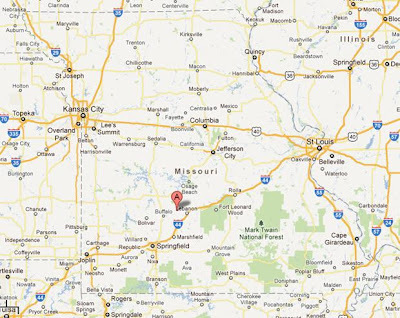 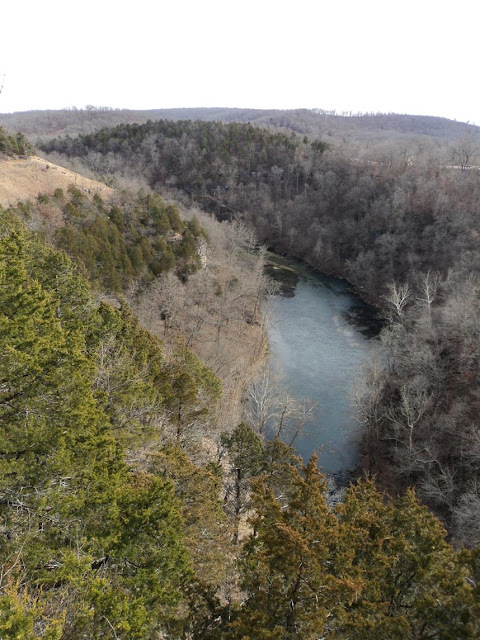 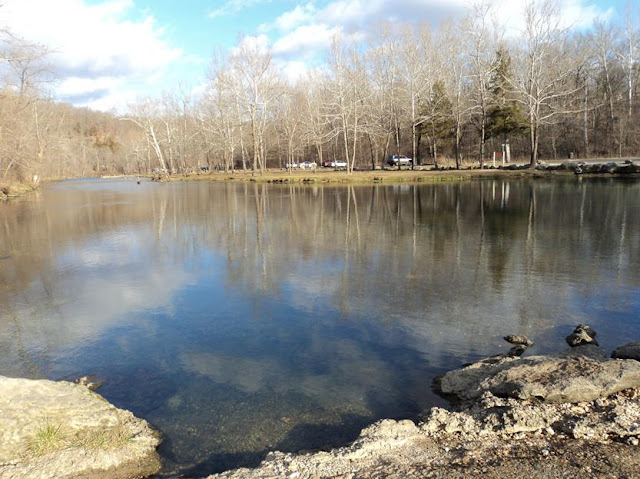 Destinations for this trip included (in order of appearance here on in) Bennett Spring, the Decaturville Impact Structure, and Ha Ha Tonka State Park. 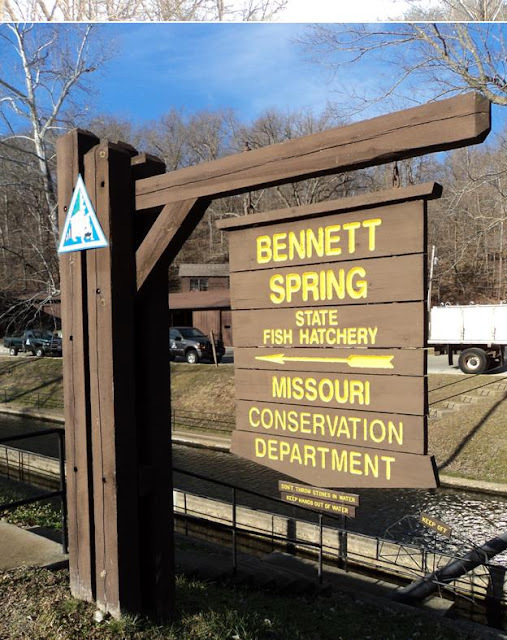 Our first stop was in Bennett Springs State Park. 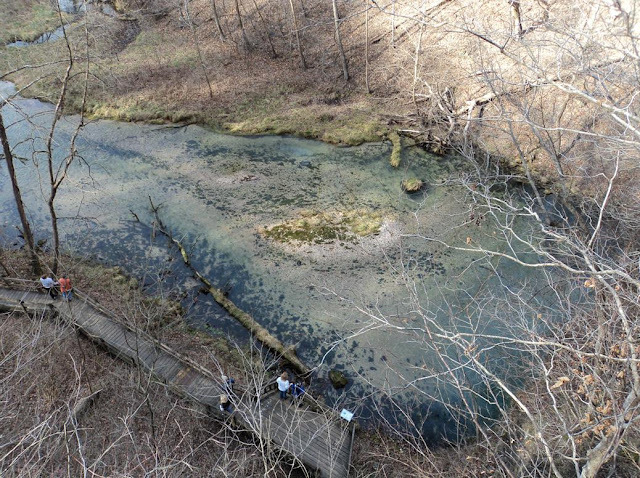 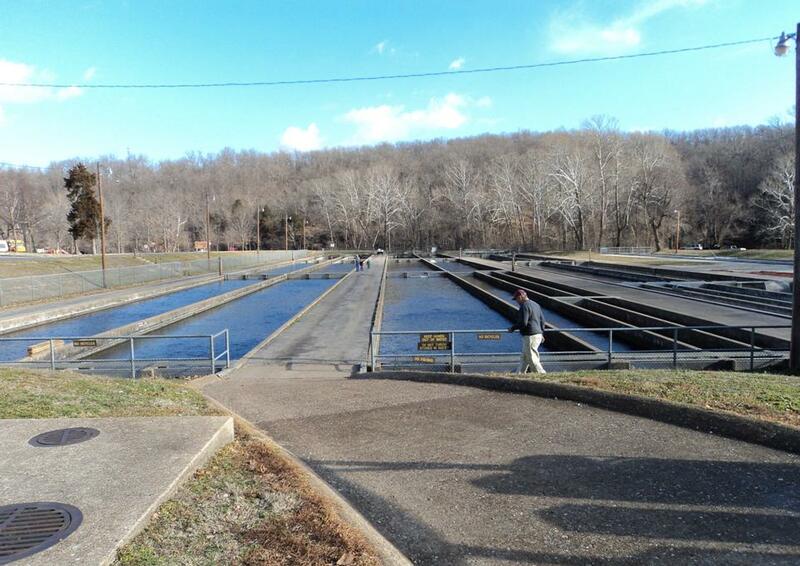 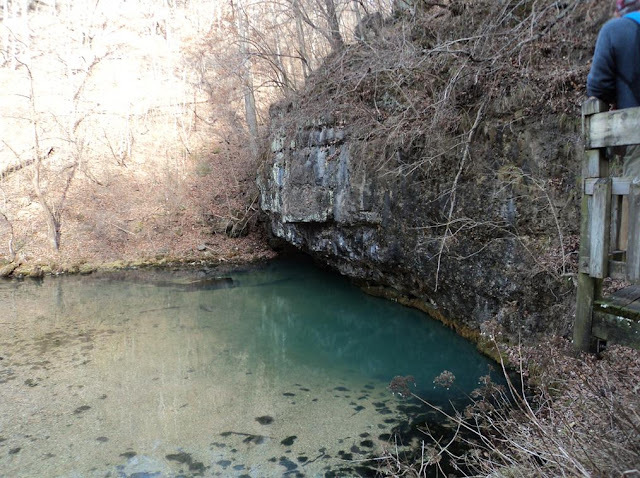 This is the location of the 4th largest spring in Missouri, putting out about 100 million gallons per day (or about 150 cubic feet per second for those of you that are used to spring discharge in cfs). In comparison the springs I study around Springfield are usually less than 10 cfs. 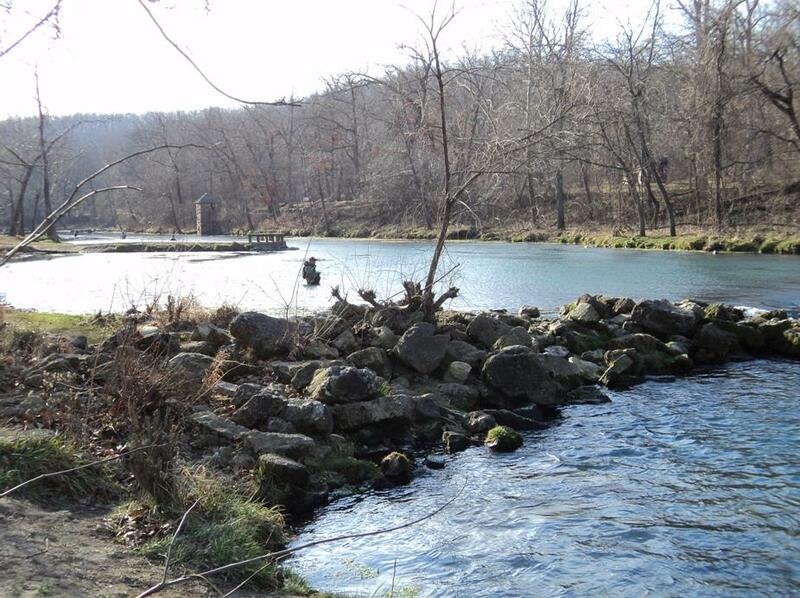 This spring flows from a conduit in the Gasconade Dolomite. Divers have descended down into this conduit for almost 200 feet before it was too small or flow was too great to continue. 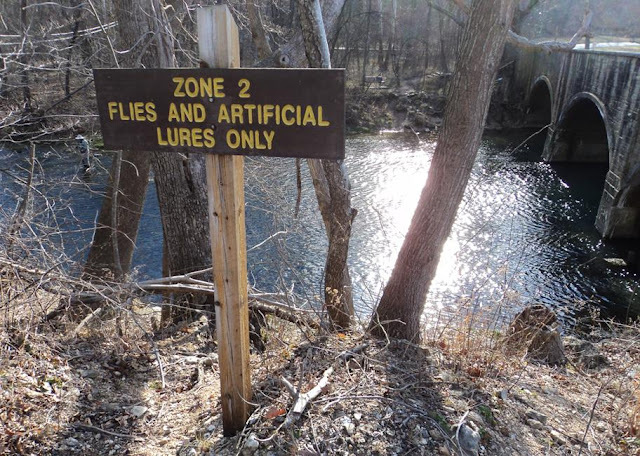 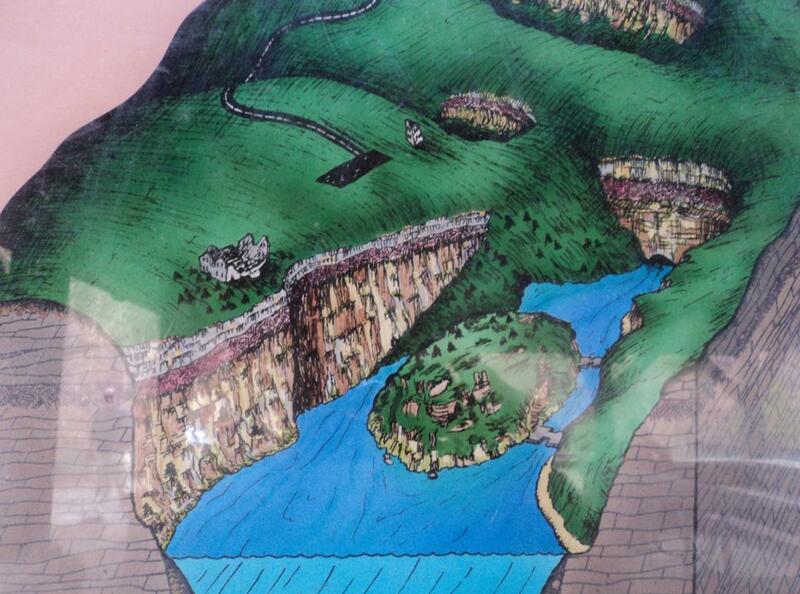 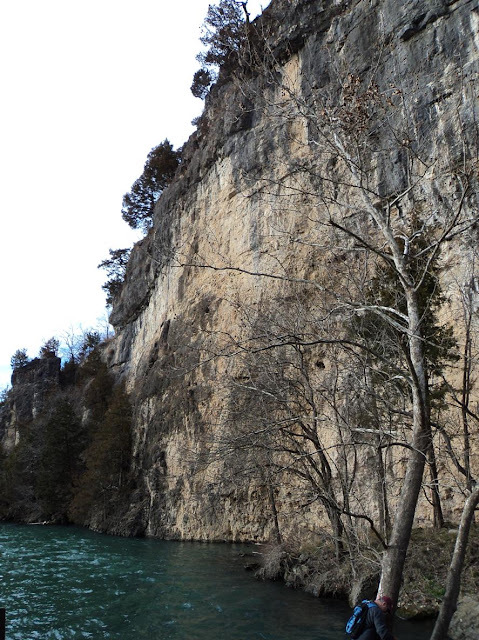 If karst hydrology isn’t your thing, this place is a big fishing spot. 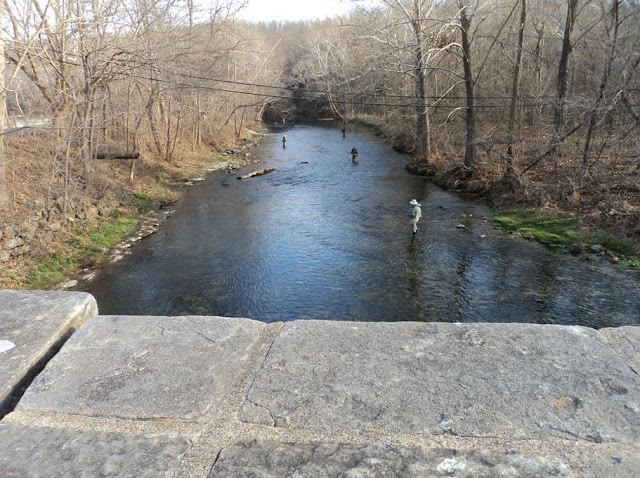 Even in mid-January people were fly-fishing all throughout the park (ok, it was actually about 70 degrees outside still). I love fly fishing, so I’ll have to come back out here sometime with my gear. 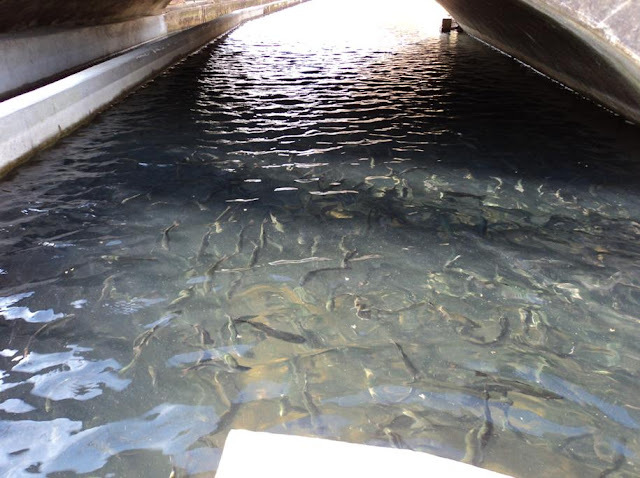 This was all possible due to the trout hatchery on site which keeps the spring-fed river stocked with delicious catchable fish. 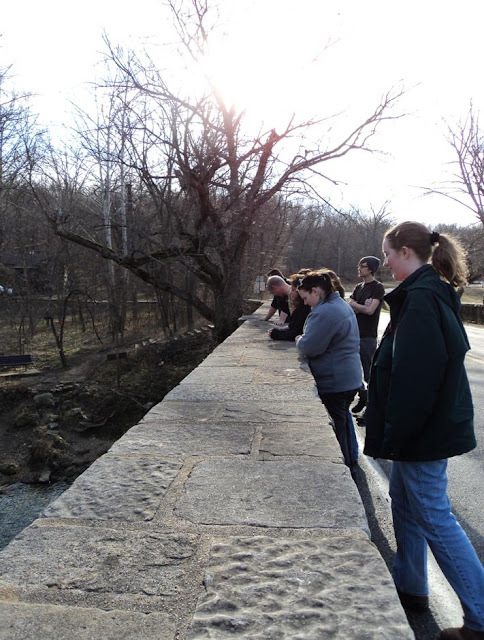 Because we are geologists, while enjoying the scenery from one of the bridges which crosses the river we all had to stop and look at the rocks which made up the bridge. 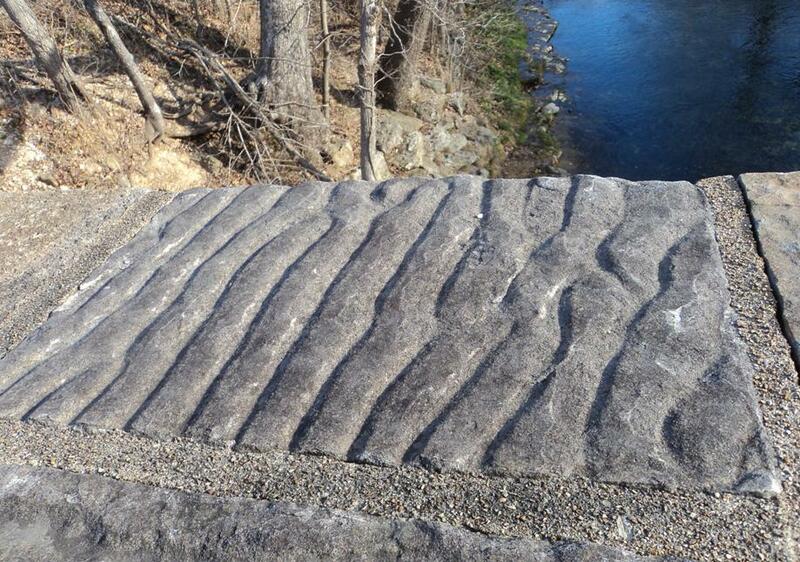 One of the notable rock units was a rippled sandstone (the Roubidoux Sandstone), a local rock unit. In one of the more obvious blocks we could see the ripples were nice and asymmetrical, while also being upside down (due to the rounded “crests” of the ripples, which are actually the troughs). I also took the opportunity to be creative with my hand lens. Our next stop was to head to the Decaturville Impact Structure. This crater is a few miles wide and is only noticed in satellite imagery or by noting the unique structures in the sedimentary rocks (which are otherwise quite flat-lying in Missouri). 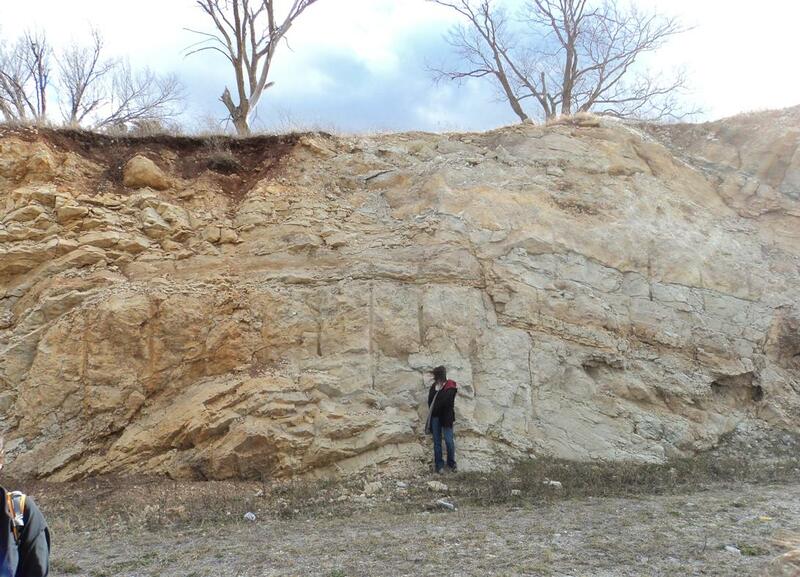 The first roadcut is what most people refer to when they discuss the unique rock structures of the Decaturville Impact structure. 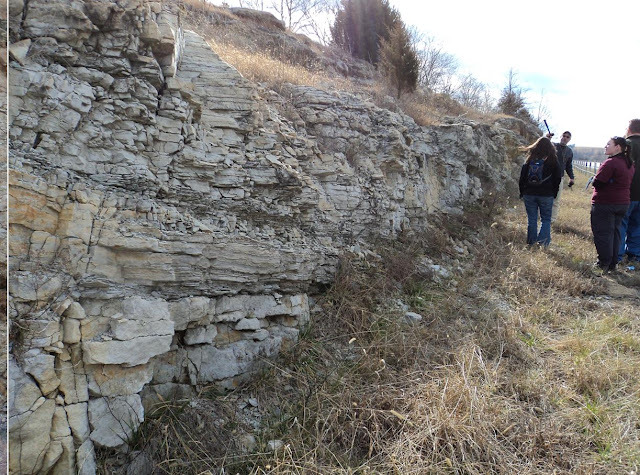 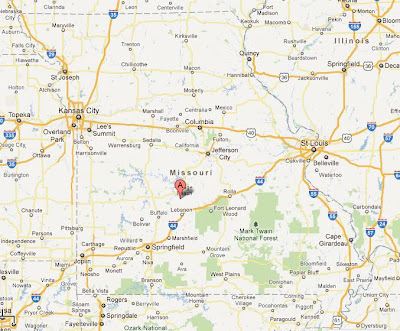 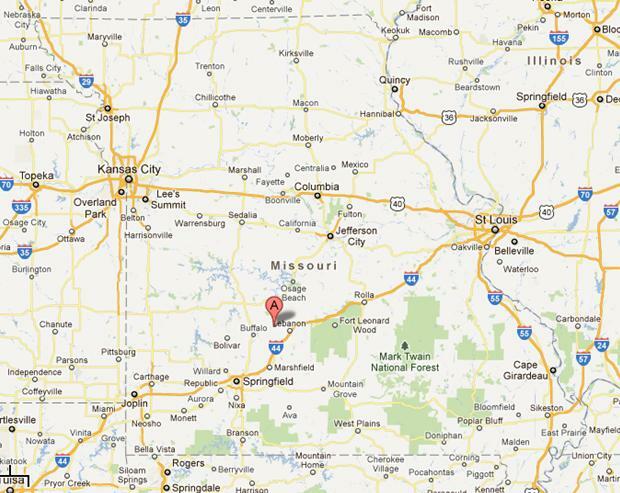 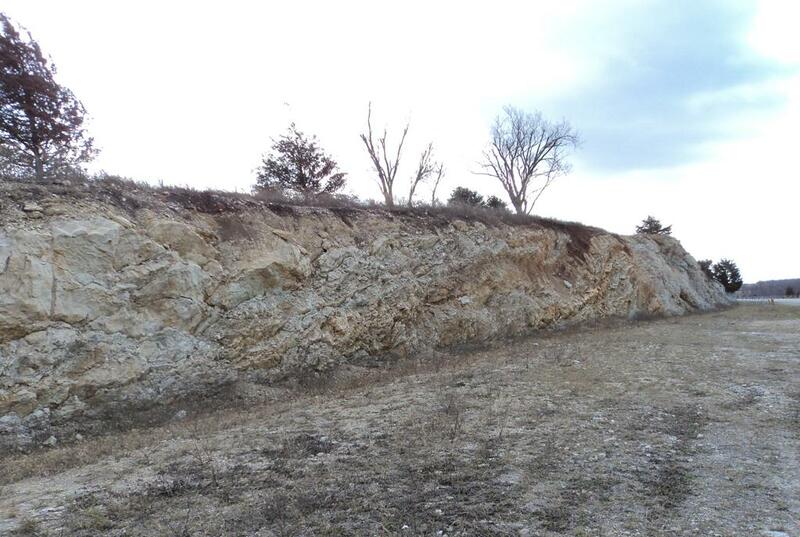 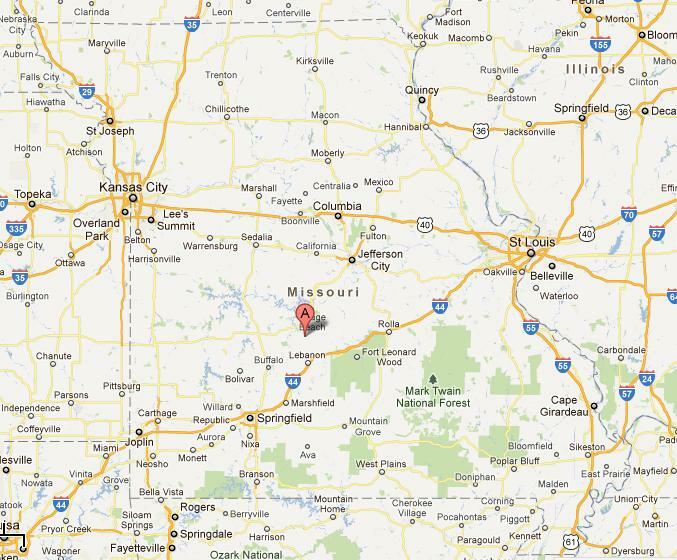 Most people that study the rocks around Missouri know most of the sedimentary rocks here are basically horizontal. 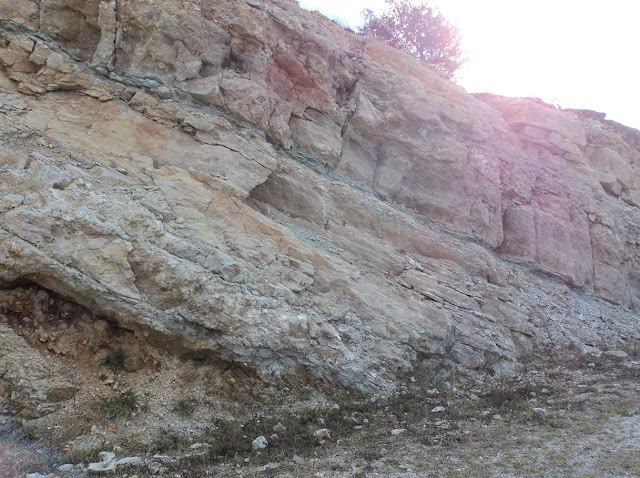 Structures, such as anticlines (at least obvious ones), tend to be rare. 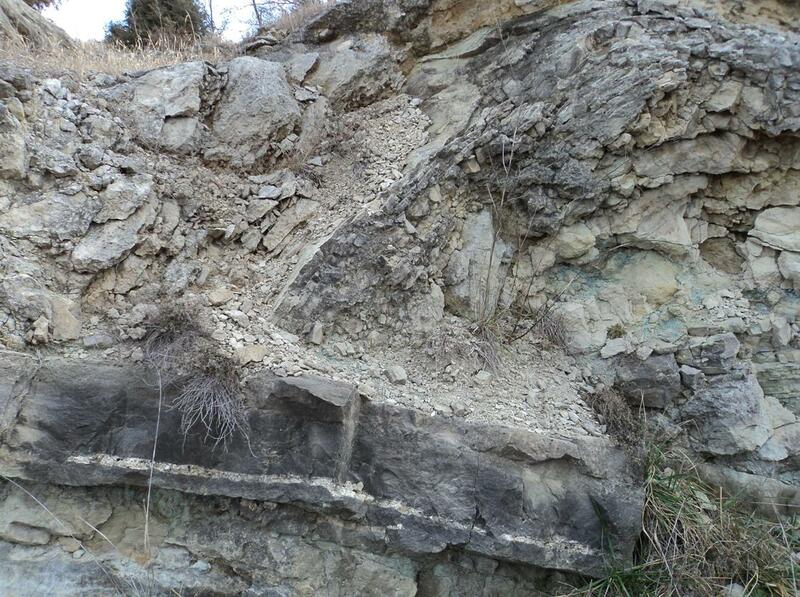 Here we see that the rocks are sometimes horizontal, then suddenly tilted, faulted, and folded at times. 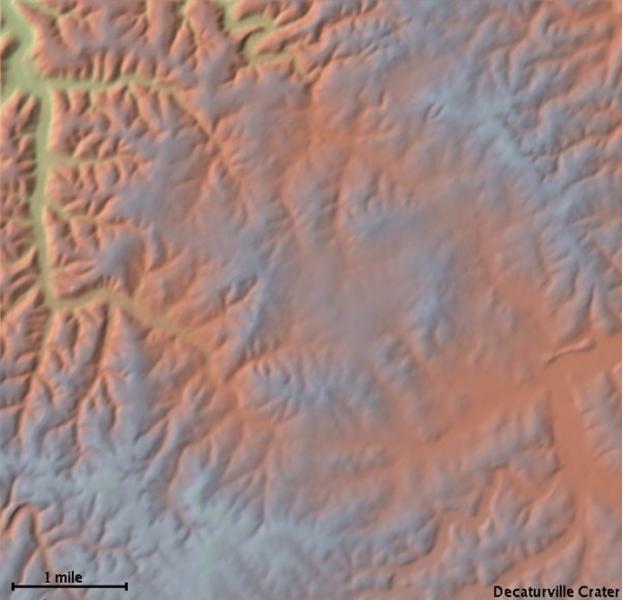 Much of the rocks have been heavily brecciated, almost to the point that referring to the in their original name and age is meaningless (geologic maps call some of these the Gasconade Dolomite, but it should really be said that the Gasconade is just the parent rock). 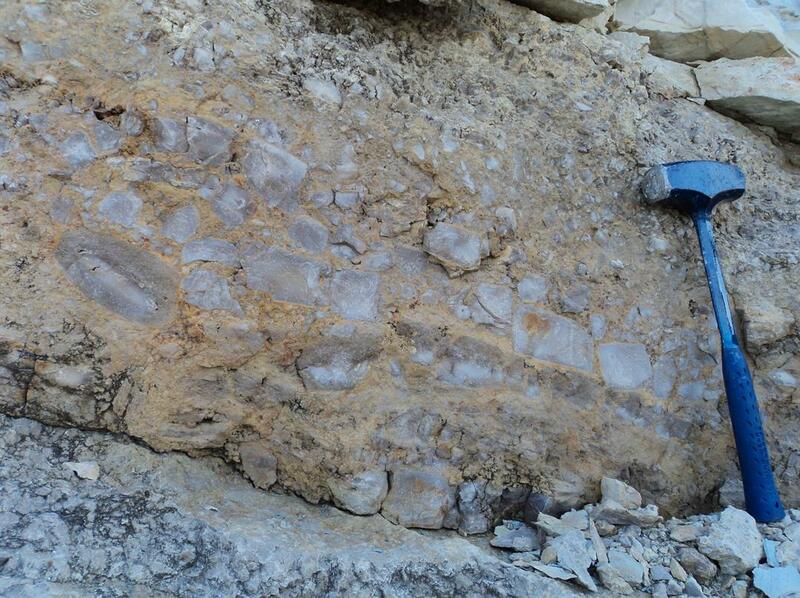 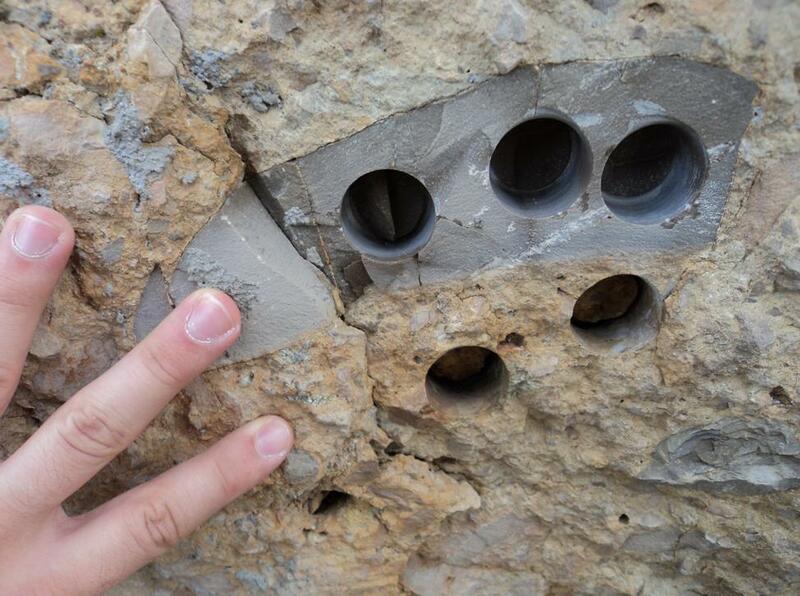 Many of the clasts have been cored for paleomagnetics testing. We drove further north into the impact structure and looked at some more breccias in the rocks. 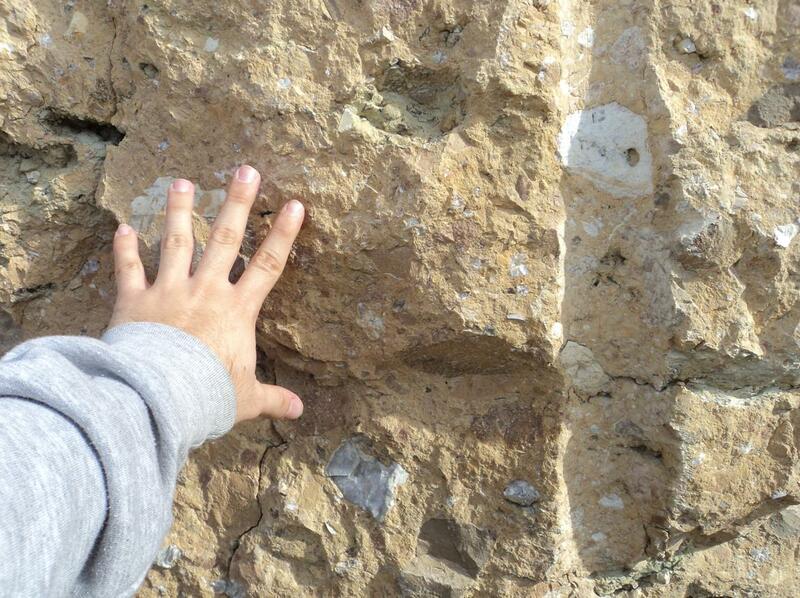 Strangely enough, large clasts of shale which now weather out giving the rock a porous appearance. 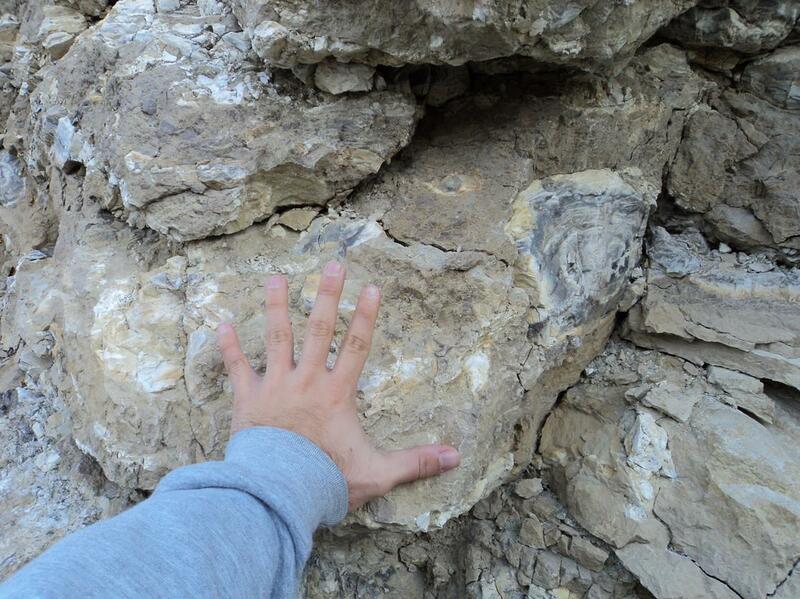 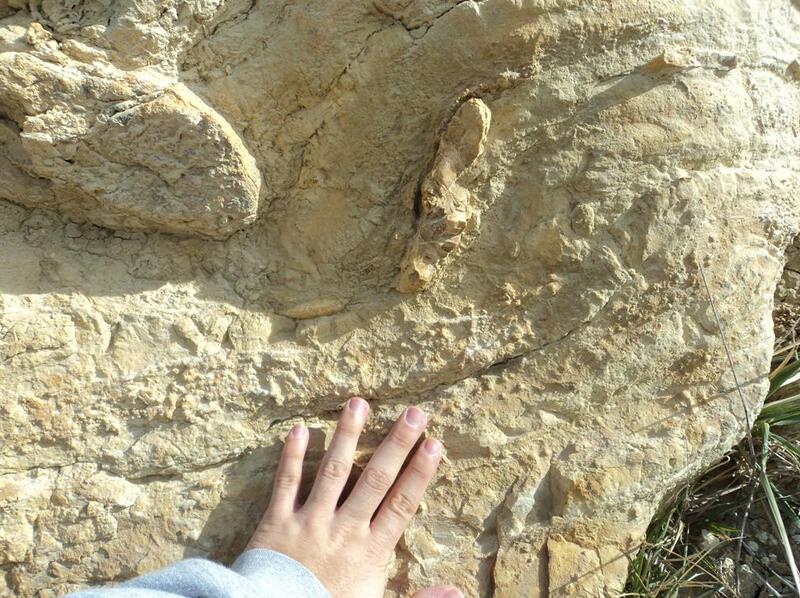 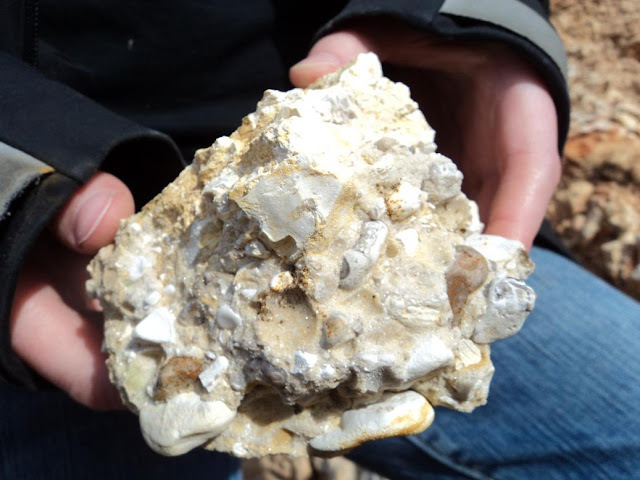 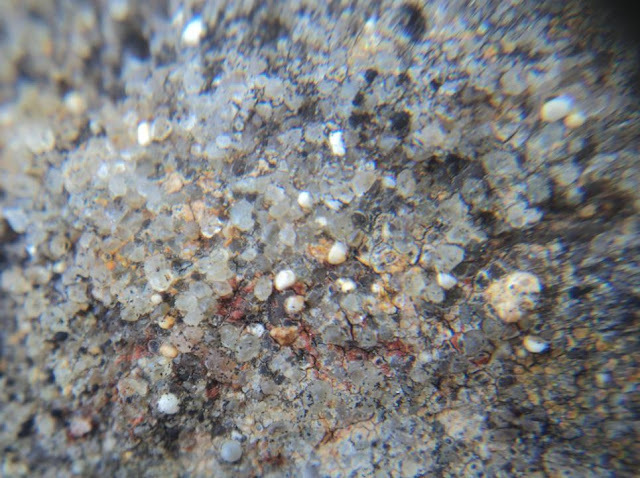 How do you get football-sized clasts of loose, yet intact, shale? 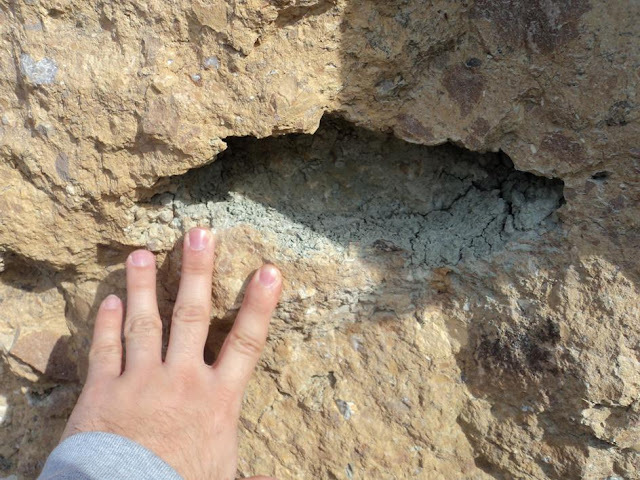 Our third spot was to check out the "caprock" in the impact structure (assumed to be due to its undeformed nature while being in the center of the crater). 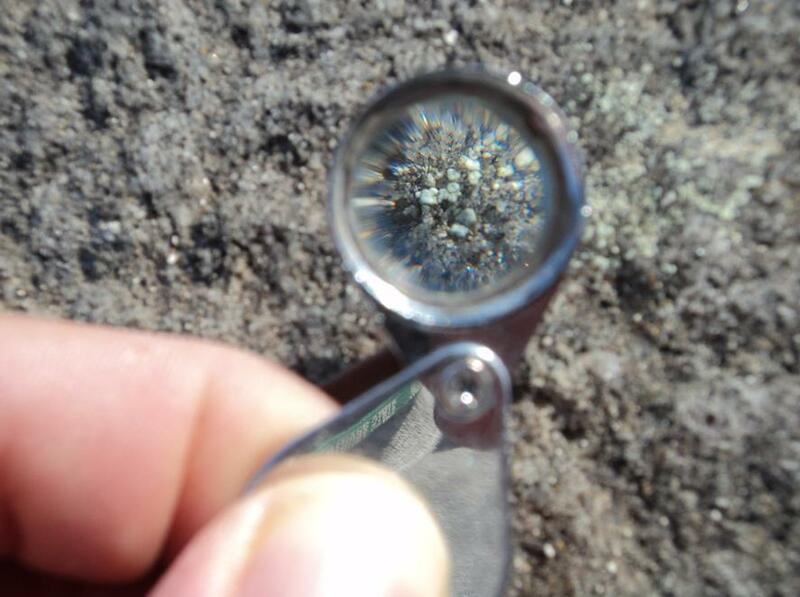 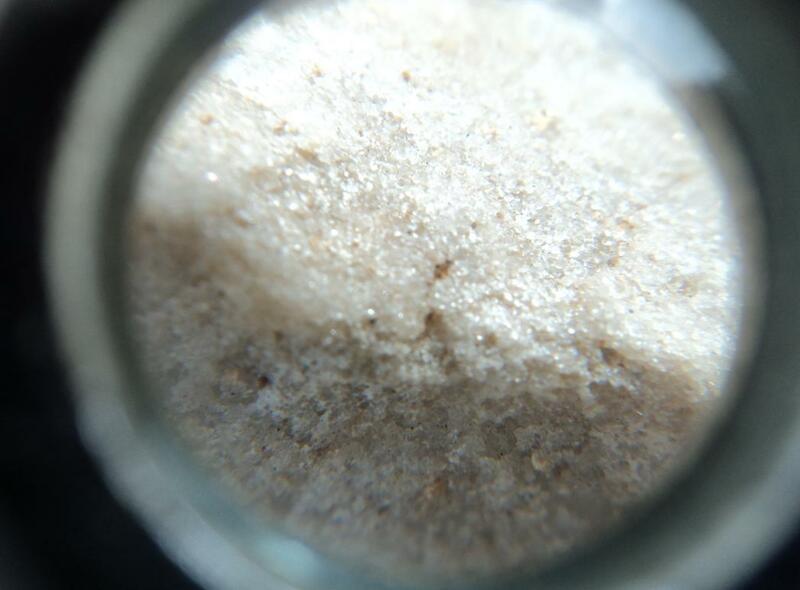 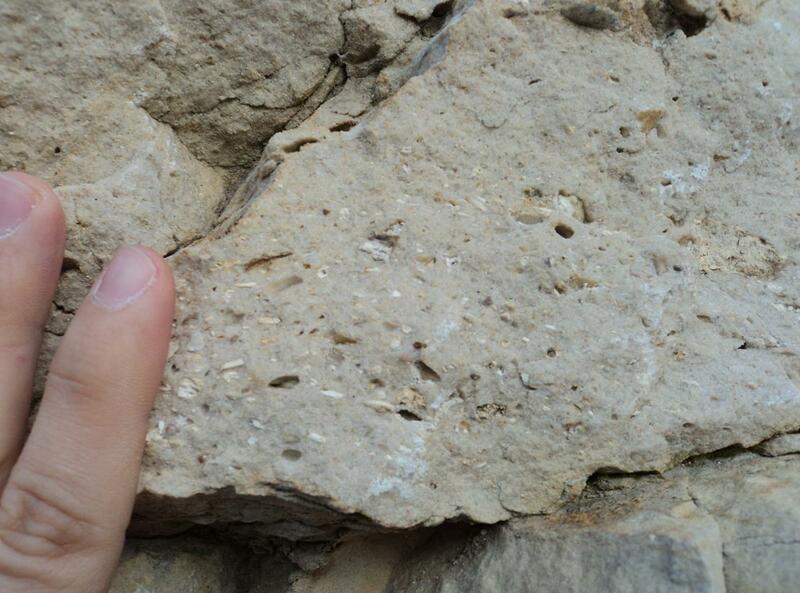 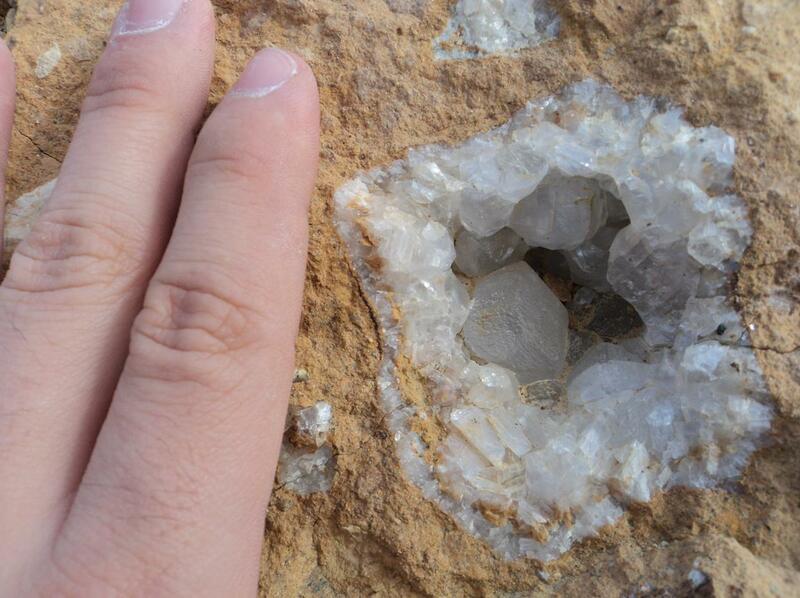 It was a quartz sandstone-conglomerate, white to orange. 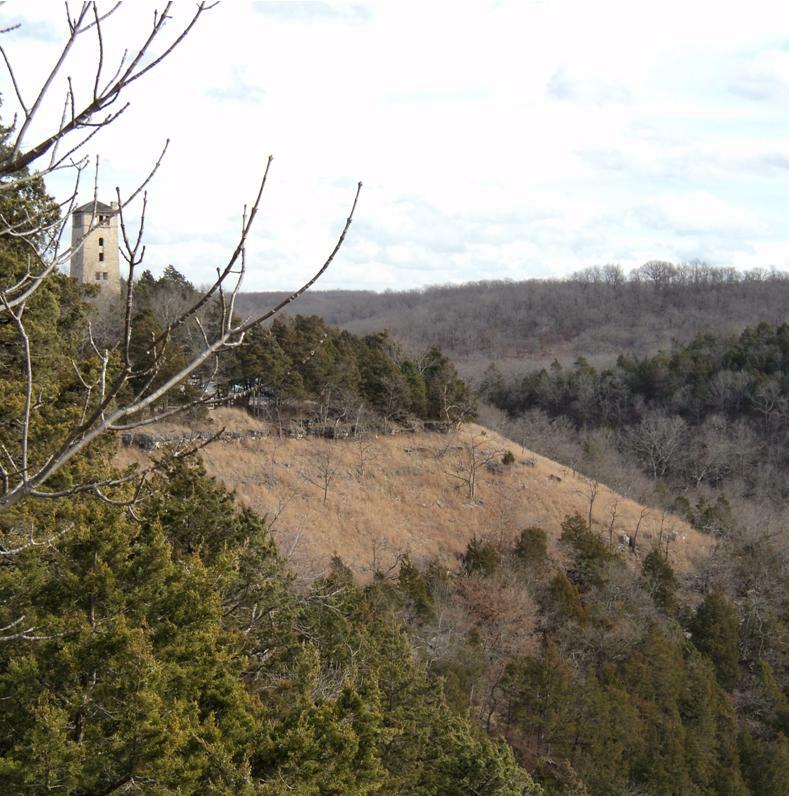 After leaving the crater we had lunch and headed to Ha Ha Tonka State Park. The first part of this spot involved visiting the "castle". 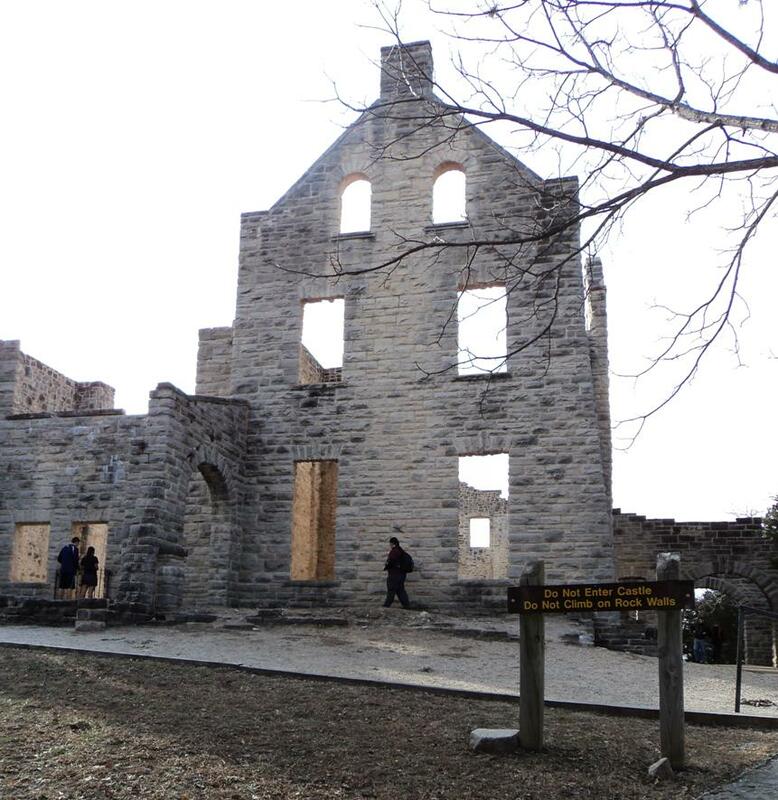 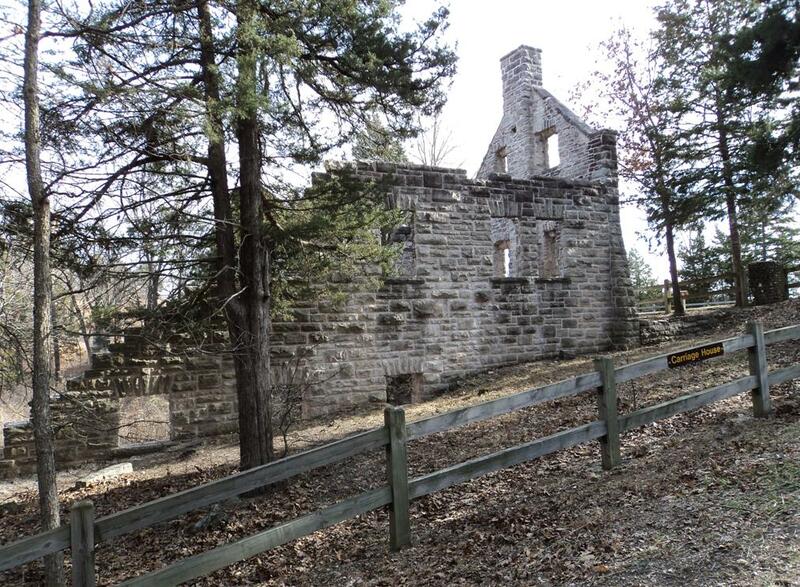 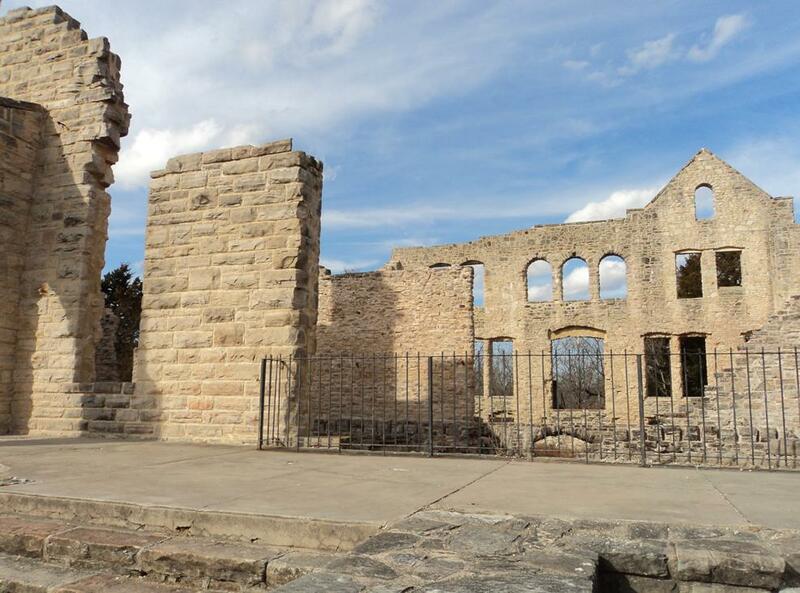 At the park is the remains of a sort of castle-home built by Robert McClure Snyder from the early 1900s. A series of trails around the castle structure also provided some nice views of the steep valley where the spring is located in. We first explored the ruins, then went down into the valley. 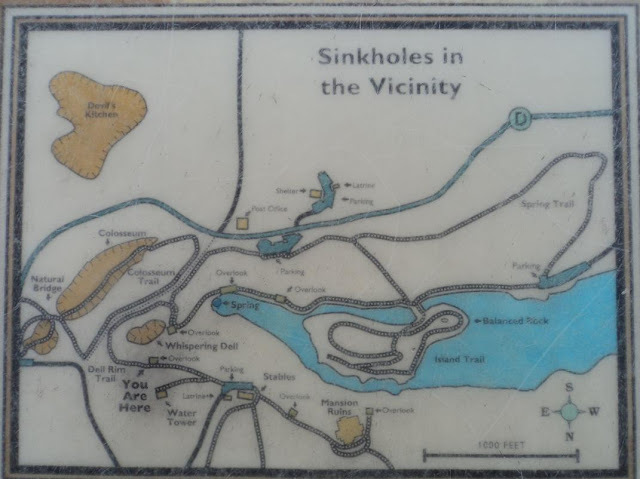 Map of the park. The photo above was taken at the red star. 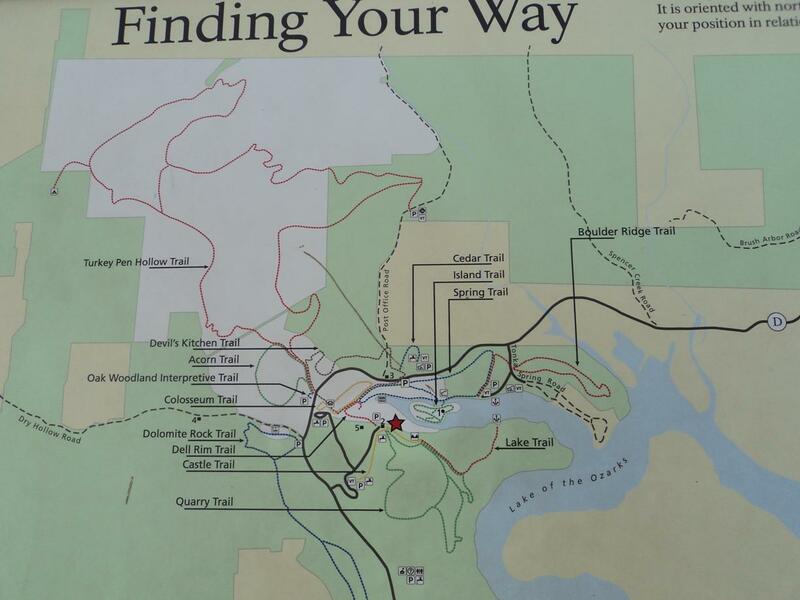 Another map of the park with trails. We walked on most of the trails. 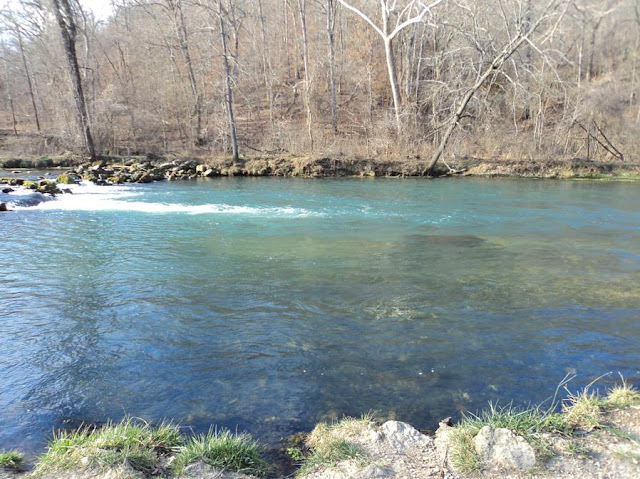 Some background of the spring. My favorite part was the name of the spring, Ha Ha Tonka, which translates to "laughing waters" by the Osage Indians. I found this fun because this same language is used a lot in names from my home state of Minnesota (Ha Ha, such as Minnehaha Falls in the Twin Cities, and Tonka is just everywhere in Minnesota, home of Tonka Toys, and my hometown of Minnetonka). 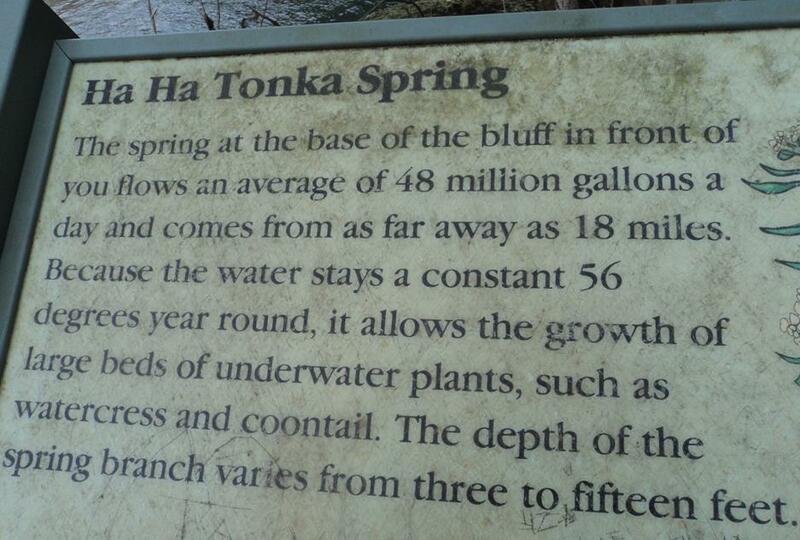 All these words (haha, minne, tonka, sota, etc) can be combined to form a lot of words. 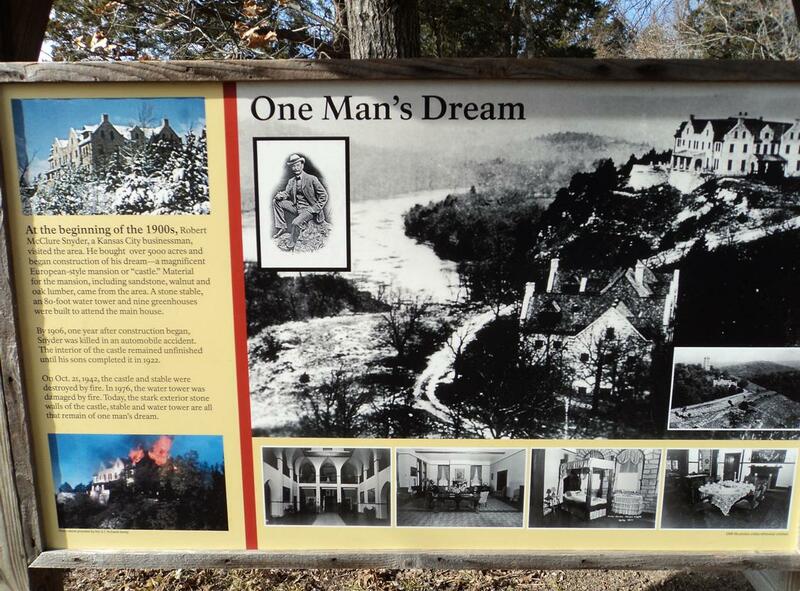 As explained by Wikipedia... "The word Minnesota comes from the Dakota name for the Minnesota River: Mnisota. 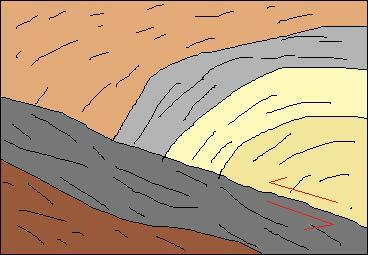 The root mni (also spelled mini or minne) means, "water". 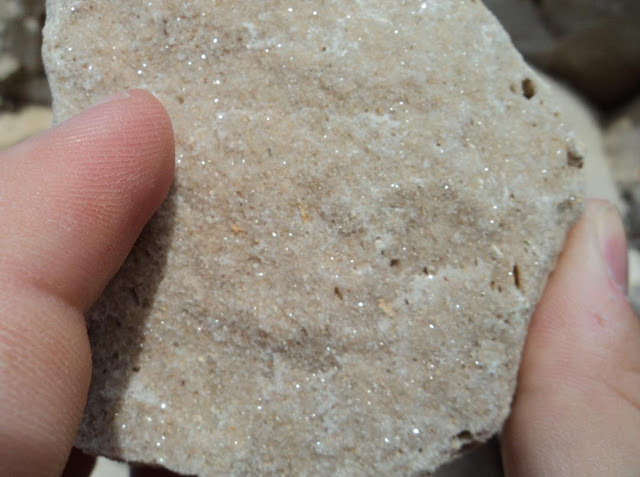 Mnisota can be translated as sky-tinted water or somewhat clouded water. 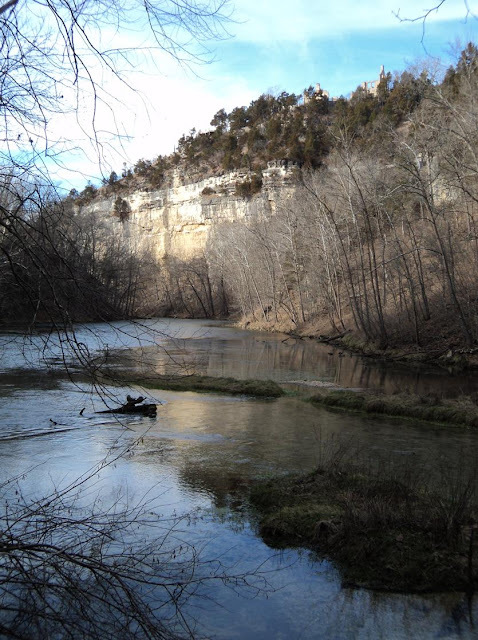 Native Americans demonstrated the name to early settlers by dropping milk into water and calling it mnisota. Many locations in the state have similar names, such as Minnehaha Falls ("waterfall"), Minneiska ("white water"), Minneota ("much water"), Minnetonka ("big water"), Minnetrista ("crooked water"), and Minneapolis, which is a combination of mni and polis, the Greek word for "city". 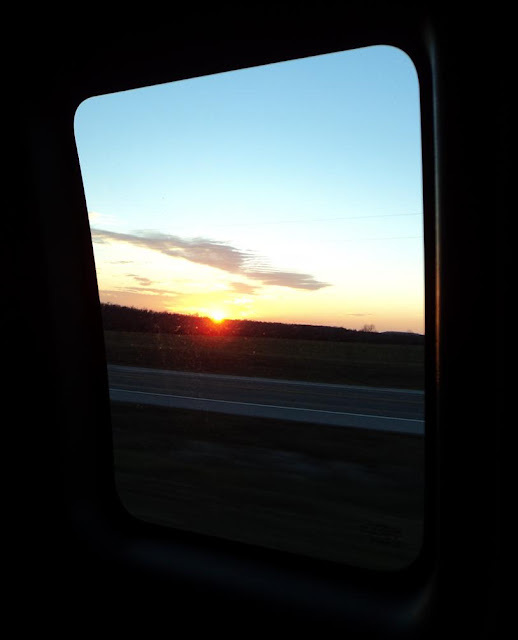 Got back home while the sun was setting. Long day!